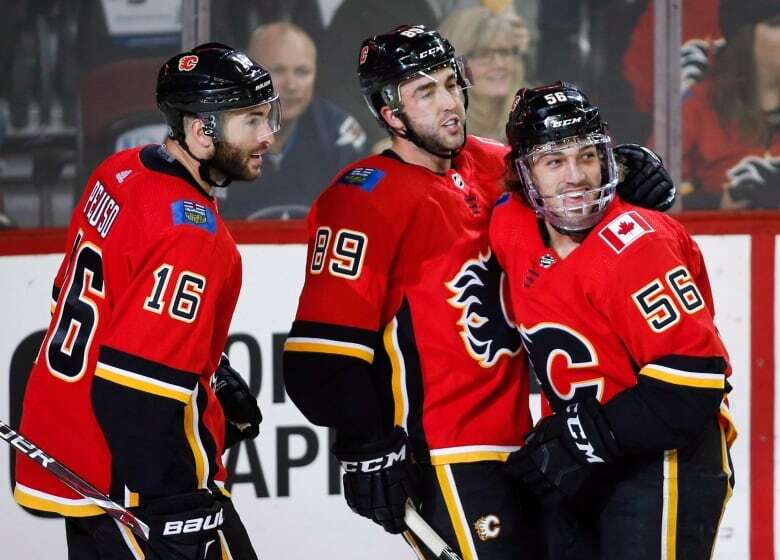 The mother and father of a young Calgary Flames forward have raised the bar for Canadian hockey parents. Lori and Trevor Lomberg, and their huge dog, have clocked 13,000 kilometres in three weeks to catch their son's games across the United States. It sounds like a long trip but Ryan Lomberg's mom notes she has been driving to hockey games since her son was toddler. "He was a December baby, so he had his first hockey jersey on when he was three, almost four," Lori told the Calgary Eyeopener on Friday. "Up early, driving around like that. You know, all these hockey parents, that's what we all do, right?" Ryan Lomberg, 23, was called up to play for the Flames in mid-November. It's not his first stint filling in for the team — he played seven games for the club last season — but this time, his family was already en route from B.C. to watch him play. The left winger normally plays for the Stockton Heat, a California-based American Hockey League club that serves as the Flames' farm team. "Basically, Trevor, my husband, looks at the GPS. 'OK, we're only about eight hours away from Calgary, so no problem, let's just turn around,'" Lori Lomberg said. "But that's when Ryan basically texted back saying, 'Wait, no, no, no, we're going to Vegas.'" His parents wanted to sneak in some quality time before Christmas, when their son is usually swamped with hockey, so there was no question they were heading south. It was a 24-hour drive to Vegas. Once they landed on the Strip, they put their 150-pound Leonberger in doggie daycare. "That breed is made up of the Newfoundlanders, St. Bernard and a Pyrenees," Lomberg said. "So yeah, they're the giant breed." They got to the game — and their son didn't even play. They got in a few hugs and chats, and then hit the road again. In Phoenix, Ariz., Lomberg didn't get any ice time again. The determined parents kept at it. They eventually caught him in Chicago for a full eight minutes and 17 seconds on the ice. In all, they've done a loop around the United States, also hitting Columbus, Ohio, and Memphis, Tenn., before getting home to Richmond Hill, Ont. Lori Lomberg said other hockey parents can likely relate. "We just want them to be happy," she said. "And you know what, you see him happy at this level.... What more can we ask for?" But after three weeks on the epic road-trip, first detailed by the Calgary Sun, they're catching their son's games as well as a rest. 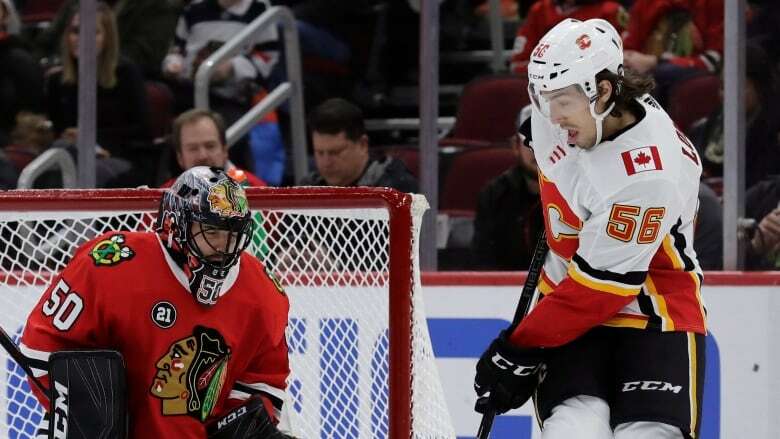 The Flames won 2-0 against Minnesota Wild at home Thursday night. Lomberg had a strong game, and his mother texted him encouragement and praise, including for sticking up for his teammates. Lomberg received a seven-minute penalty for fighting with Matt Dumba, who had hit a Flames player earlier in the game. NHL Department of Public Safety announced Friday morning that Lomberg was automatically suspended for one game and that Flames head coach Bill Peters was fined $10,000.​ Lomberg also faces a hearing regarding another alleged rule breach related to the fight. Lomberg, at five foot nine inches and 187 pounds, is known as a bit of a scrappy player. 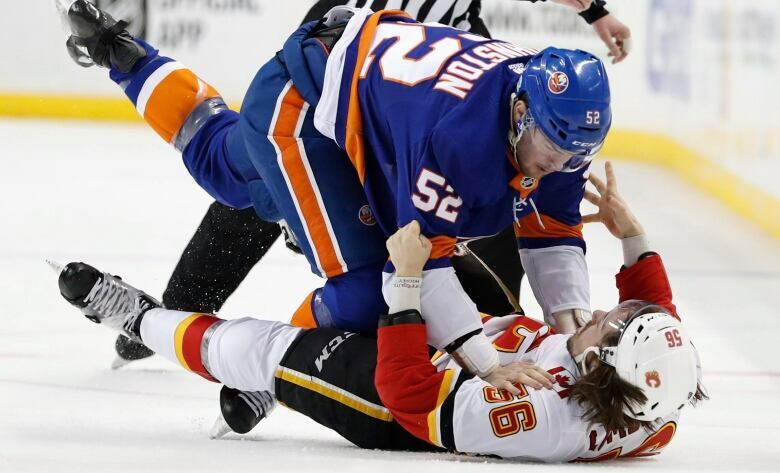 In past games with the Flames, he's gotten into a couple fights and scored a few goals, too. "He loves playing in Calgary. He mentioned it's just amazing, the fans and the atmosphere in the arena," his mother said. "He's pretty thrilled. He's on Cloud 9." And so are his parents.